Living a debt free life can seem like an impossible dream, especially when multiple credit card statements arrive in the post each month. Clearing credit cards and living debt free can mean making sacrifices but the end result will be worth the effort as this case study shows. Moving back home to Lancashire after living in London for several years meant reorganising financial priorities for Stephanie Gallo. Years of spending on credit cards had left her with several thousand pounds worth of debt spread over four credit cards. “I always saw my credit cards as a necessity in London,” said Stephanie, “I used them to pay for everything and when one 'maxed' out I would simply take on another card.” Years of juggling credit cards had left Stephanie financially overstretched, and repaying her debts was going to be harder now that the high paying London salary was gone. Stephanie’s debts were all contained within her credit cards and her top priority was to clear these, which looked like a job that could take years. 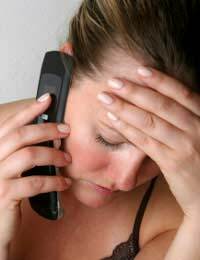 Stephanie decided to take a positive step and contact the credit card companies to see if anything could be done to help. Stephanie came to an agreement and arranged a payment plan with three out of her four creditors. This involved the interest being frozen on two of her accounts and all three agreed to set payments that she could realistically afford every month. “Two of my creditors wouldn’t freeze the interest and one simply said I had a minimum payment option, which if kept to would have tied me into them for years.” said Stephanie. The new rearranged payments meant she could comfortably afford the repayments but pay more if she wished to clear these credit cards rapidly.